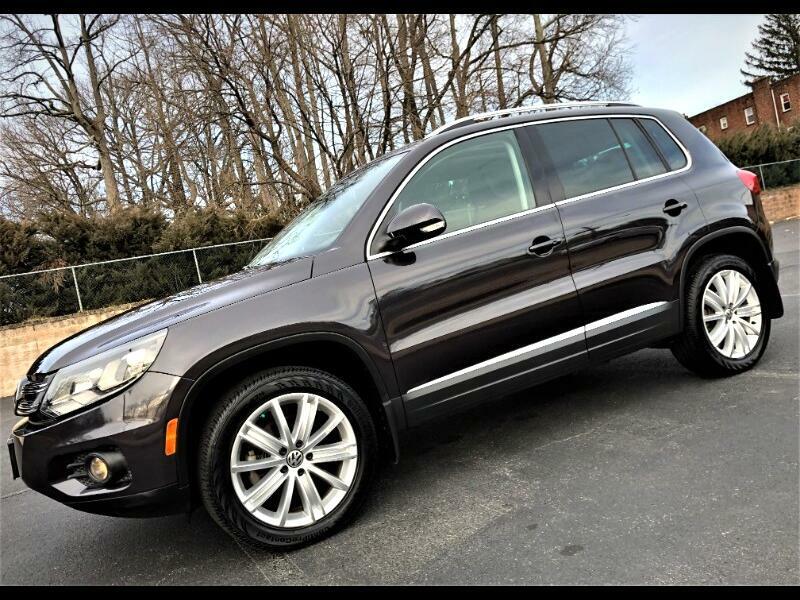 2016 Volkswagen Tiguan SE 4Motion(AWD), Equipped with Top Of The Line Features and Awarded 5 Star Safety Ratings. Great Gas Mileage with Ratings of 20 City/26 Highway MPG. 1 Owner, never been involved in any accidents, previously owned as Personal Lease Vehicle (not a rental that's been driven and abused by countless people). Full Glass Panoramic Sunroof/Moon-roof, Leather Seats, Heated Seats, Navigation System, Backup Camera, Cross Traffic Alert, Premium Sound System, Apple Car-Play, Android Auto, Bluetooth, Streaming Bluetooth Audio, USB Port, Aux Port, SD Card Reader, Heated Side-View Mirrors, Adaptive Headlights, HID Headlights, LED Daytime Running Lights, LED Taillight Cluster, Fog Lights and more. Volkswagen's remainder of Drivetrain/Powertrain Warranty until of April of 2021 or 60k miles. Volkswagen's remainder of Emissions Warranty until of April of 2024 or 80k miles. Volkswagen's remainder of Drivetrain/Powertrain Warranty until of April of 2021 or 60k miles. Volkswagen's remainder of Emissions Warranty until of April of 2024 or 80k miles. *Eligible for purchase of Comprehensive Bumper to Bumper Mechanical Coverage Plans with duration up to year 2026 or until odometer reads 125k miles.